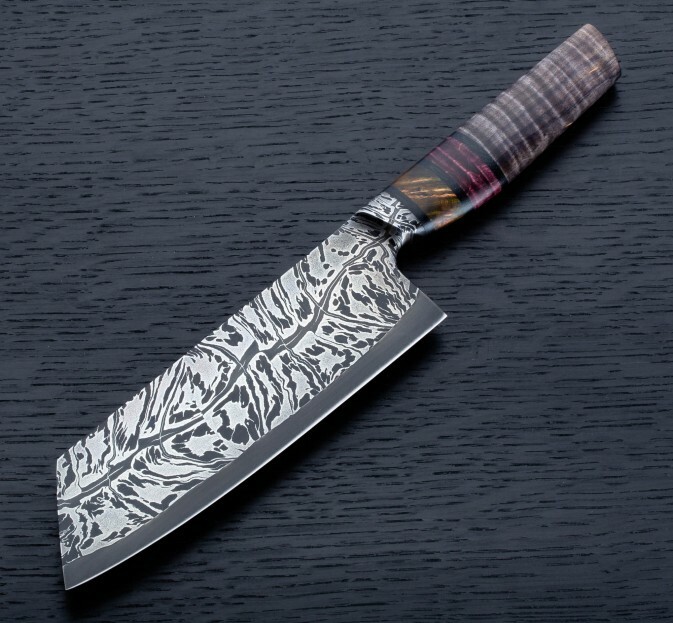 Magic, by Nick Anger, in the form of a chef knife. 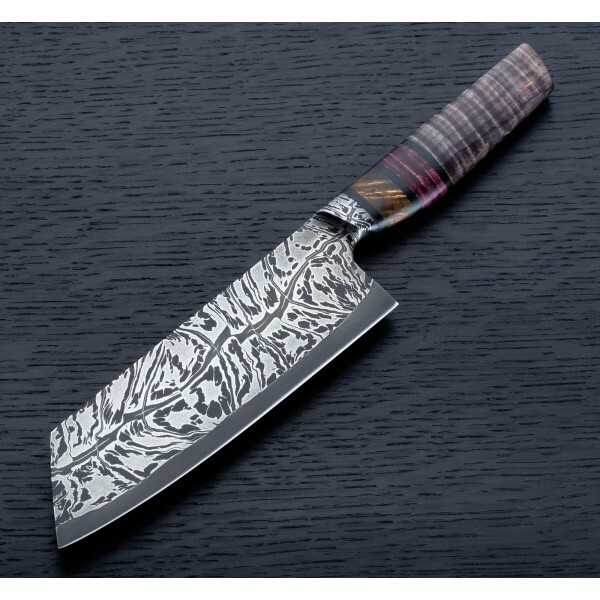 A secret damascus recipe is forged atop an edge of 1080 carbon steel with dark, forced patina. 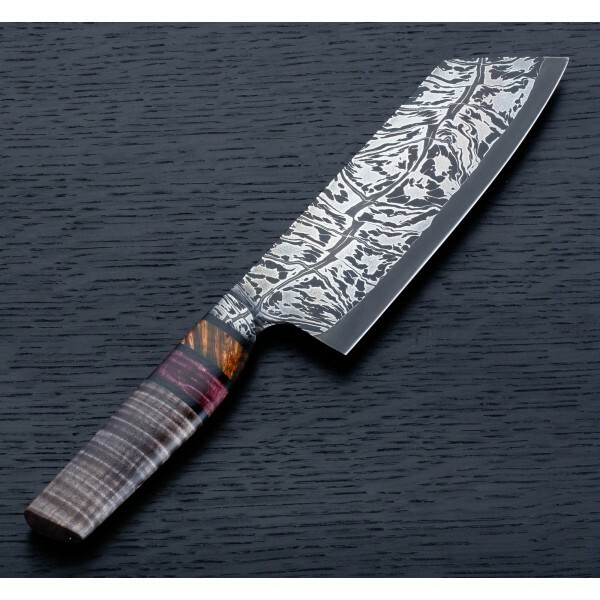 Standing 54mm tall and primed for daily use with middle-of-the-road geometry that will slice effortlessly, a touch of blade flexibility included, while standing up to tougher cuts with ample strength, makes this knife every bit as functional as it is strikingly beautiful. 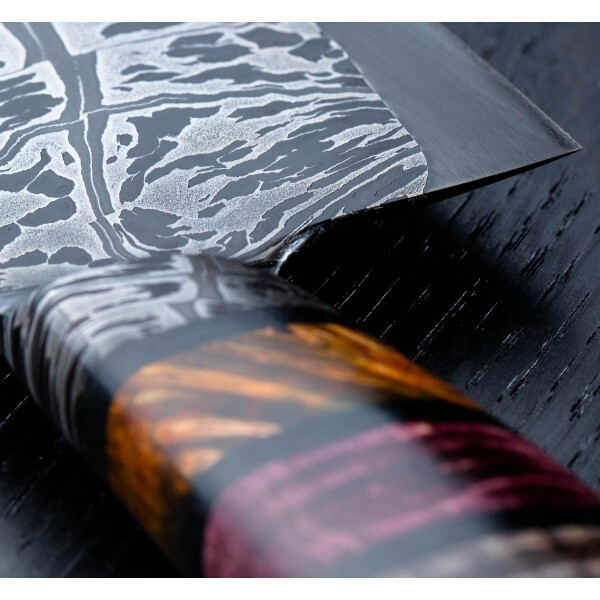 Various stabilized, dyed cuts of maple are matched to black micarta spacers to form the handle. Blade: 175mm / 6.89".  Overall length: 310mm / 12.2". 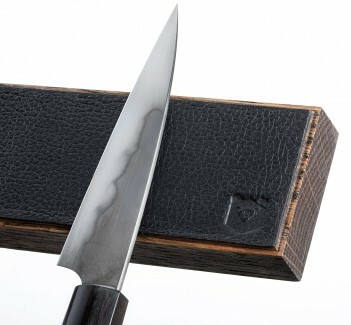 Blade width at heel: 2.7mm. Blade width at heel: 1.4mm. Blade height at heel: 54mm. Weight: 6.3oz / 178g. 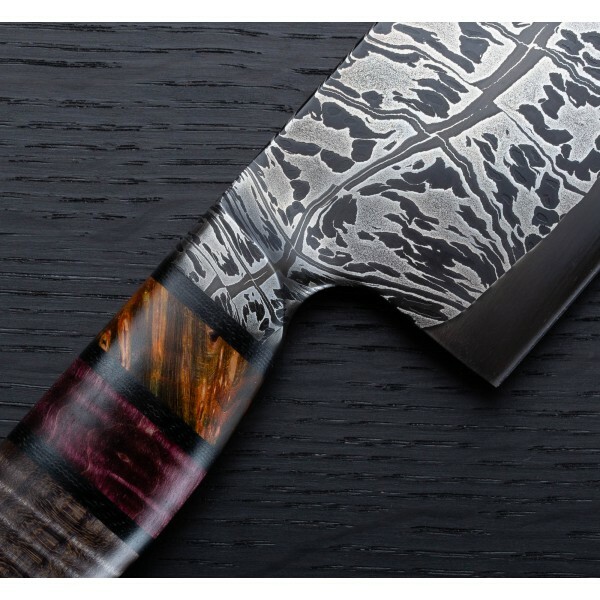 Blade: Secret-recipe mosaic damascus with a 1080 carbon steel edge. Handle: Mix of stabilized, dyed curly maple with black micarta.